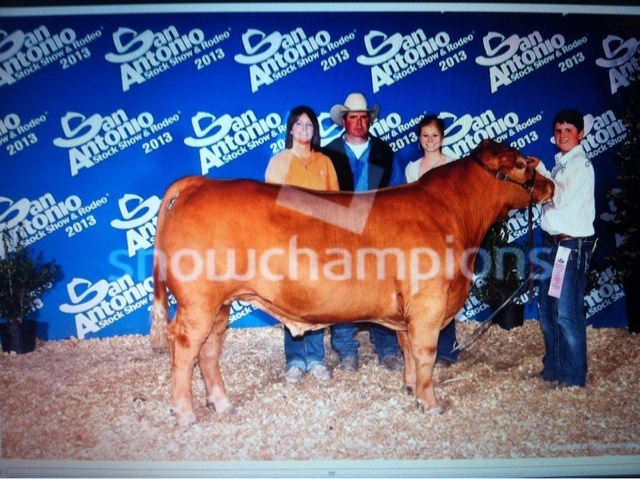 4th place Middle Weight Limi at the 2013 San Antonio Stock Show. Sired by ZNT Montego Bay, and raised by Austin Wade of Burleson, TX. Steer brought $7,800 in the sale.